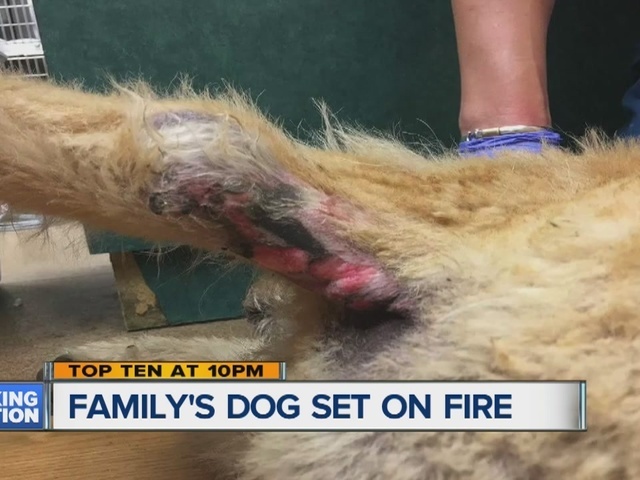 A $2,000 reward is being offered as the Michigan Humane Society searches for a group of kids that set a dog on fire. 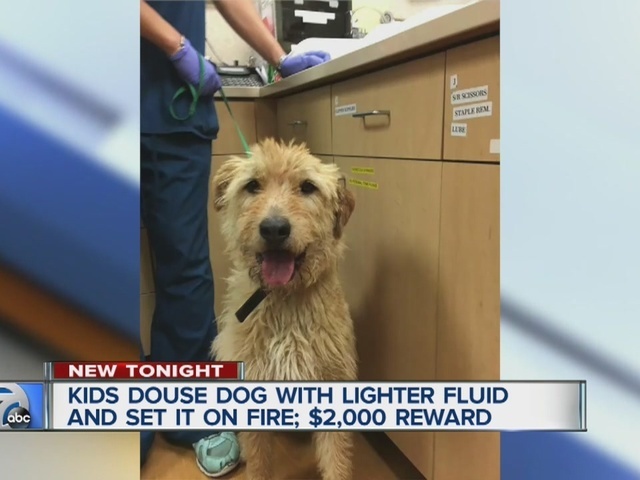 The dog, named Bear, was doused with lighter fluid and then set on fire on the city's east side. Bear did suffer burns, but is being treated and is expected to recover. A teacher who lives nearby saw the incident and came to the dog's aid, putting the fire out. She also called the dog's owner, who is in the process of moving away from the neighborhood at Warren and Chatsworth. Bear's owner, Kelly Fluhart, says her dog is not the only pet being targeted in the area. The reward is being offered by Rejoyceful Animal Rescue, which is also covering the cost of treatments - which is expected to cost around $10,000. They have set up an online fundraising account to help cover the costs.